Find all latest models, newest rides and all our bikes ready to test ride at our shop. We’re open 7 days a week. 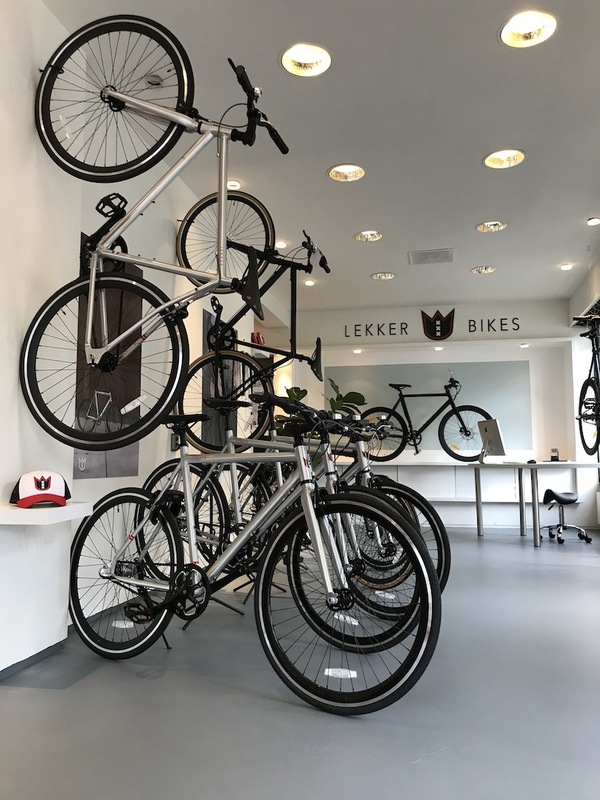 Besides testing out our bikes it’s also possible to purchase your new Lekker straight from the shop floor or order one to be delivered at home. 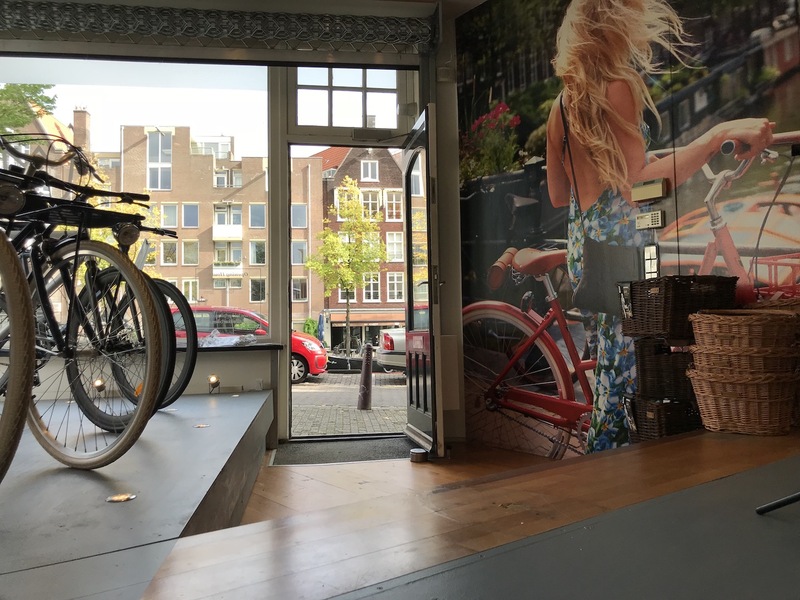 Located on the Prinsengracht 380 in the very centre of the city, the store sits on a corner allowing great visibility to those whom may be searching for it. The busy streets surrounding the shop, known as the Jordaan, are bustling with locals and tourists alike. You’ll find the famous “nine streets” around the corner with a bunch of great boutique shops and restaurants. If you do find yourself staying particularly late in the area then Leidseplein is the place to go, where you can dance your way into the early hours of the morning. Our brand store is in the perfect nook of a busy area and you can’t miss it! On arrival into the store, you’ll be greeted with a bright smile from the store manager, Anton Bos. Not only does he love giving off a smile – he also loves sharing his passion for all things bikes. You’ll find him in the store every day except Sundays, as like you and me, he also needs a rest. Sundays, the store is closed. From the outside looking into the store, you’ll notice our too-cute Lekker Minis hanging right inside of our window. If you’re able to get past them and resist taking an Instagram snap, we’d be surprised! Walking into the store you’ll see our main wall-display, filled with a variety of leather goods, such as saddles and grips of brown and black shades. The store is filled tastefully with our bicycle ranges with some standing on the floor, and others hanging from the ceiling. All Lekker models are on display, so you’ll have no difficulties in finding your perfect ride! 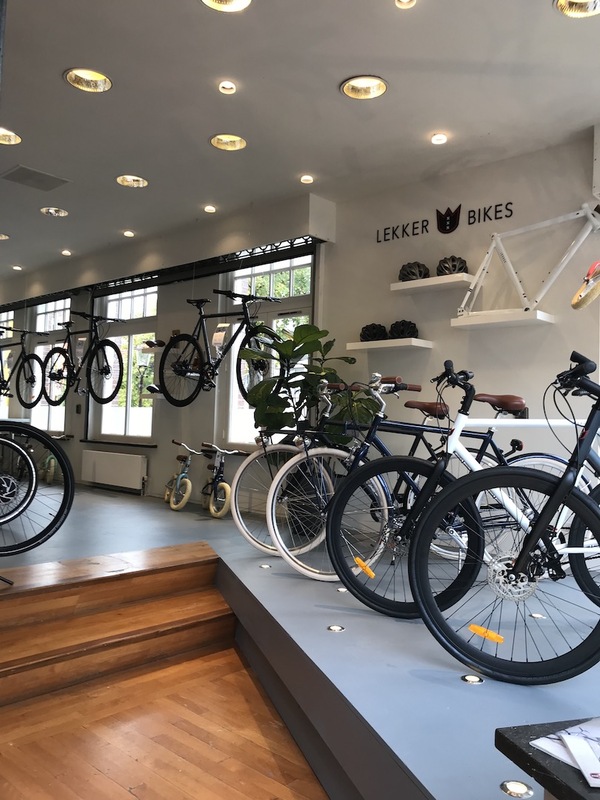 The Lekker bicycle store is also not your average bike store; it’s minimalist, not stocked full bursting at the seams with bikes. It only showcases Lekker’s premium goods. Giving you an overview of the collection and not bombarding you with bicycles stowed away in every inch of the place. Lekker doesn’t only sell bicycles though, they also sell merchandise such as t-shirts and caps. Becoming more of a lifestyle brand than just a bike shop. People sometimes come in to just buy the Lekker cap, because they simply love the brand, find it stylish and wear it around with pride.